At iPhotography™ all learning materials are interactive, up-to-date, intuitive, stimulating and designed to be fun! And this is just one of many reasons why we are Fast Growth 50 award-winners in the ‘Fastest Growing Education Provider’ and ‘Fastest Growing International Business’ categories. And why we have been selected as finalists for ‘Best Content Provider’ at the prestigious Education Investor Awards for the third year running. iPhotography®, in conjunction with its parent company Digital Sea Ltd, has been selected as finalists for ‘Best Content Provider’ at the prestigious Education Investor Awards for the second year running, alongside Cambridge University and publishing giants such as Harper Collins. This was largely due to our ‘innovative, interactive, intuitive and stimulating’ photography training courses. iPhotography®, in conjunction with its parent company Digital Sea Ltd, has been nominated in the ‘Fast Growth 50’ business awards as one of the top 50 fastest growing education providers in the country. This is largely due to the vast number individual students and worldwide network of partners, schools, colleges and training institutes who have selected iPhotography® as their number one photography course of choice. The CPD Certification Service provides a formal, independent certification of organizations, materials and development activities. We are delighted to announce that iPhotography® Course has achieved the highest accreditation with the CPD (Continuing Professional Development) Certification Service. 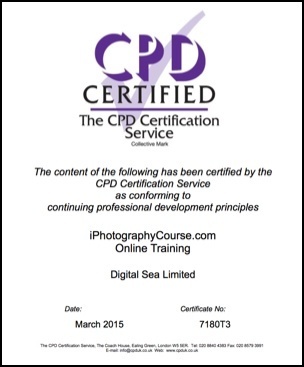 Accredited CPD training means that iPhotography Course has reached the required CPD standards and benchmarks. The learning value from the course has been scrutinised to ensure integrity and quality. 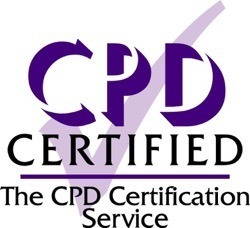 The CPD Certification Service provides independent CPD accreditation compatible with global CPD standards. The ABCC is the only trade association dedicated to distance learning providers. Digital Sea Ltd is a member of the Trade Association for Distance Learning Providers. Member colleges all sign and agree to abide by their Code of Ethics which guarantees that we will uphold the highest standards of quality, service and integrity. Digital Sea Ltd is registered with the Register of Learning Providers: Our Provider Reference Number is 10037389. Digital Sea Ltd (6456070) is the parent company of iPhotographyCourse.com.